Somebody once said that you will never find atheists on a life raft. This is another way of saying that when people are in desperate situations, they cannot afford to leave God out of their reckoning. The stark fact is that we are all in a desperate situation, always. When people swagger and snap their fingers in God’s face, they are living in a dream world. They are not awake to the fact that life, at its best, is brief and precarious. That is at its best! And in these days of world wars and hydrogen bombs, life is more uncertain than ever. There is but a step between us and death. Let us then begin by acknowledging that we need God. We are all on the same life raft; the sea is rough, and the sky is dark and threatening. We dare not pretend that we don’t believe in Him. As believers in God, we ask the question: can we find a sensible and satisfying way of worshipping this God in whom we believe? Would I be right in assuming that we believe in Jesus Christ too? Good! So it looks as if we ought to be enthusiastic members of the community that Christ founded. But someone may protest; it’s not so easy as that. Much as we respect and admire Jesus Christ, we don’t feel too happy about modern Christianity. It’s difficult to explain, but there seems to be something missing. Yes, there is something inadequate about modern Christianity, Many Christians are agreed about this, and fervently wish it were otherwise. Although the sects of Christendom are many and varied, there is a basic sameness about most of them and there is something missing. Where does modern Christianity fail? To begin with, it isn’t modern enough in the things that matter. Don’t misunderstand me! Many Christian communities are trying desperately hard trying too hard to be “with it”, but they are quite out of touch with the real issues of our day. The world is bristling with problems that modern Christians cannot answer. What is God’s answer to the bomb? Can we look forward, confidently, to a time when there will be “glory to God in the highest, and on earth, peace, goodwill toward men”? Ought Christians to take part in war? Can we expect God to intervene in human affairs? Do world politics fit into a programme, or are they a matter of chance? If God is a God of love, why does He permit suffering? There must be something wrong with a Christianity that cannot tackle such vital questions as these. To pursue the matter just a little further: suppose we were to put the first question. 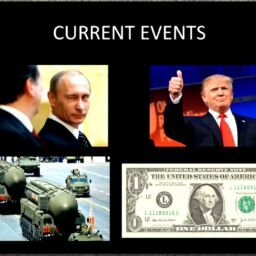 Will there be another world war? To people qualified to speak for some of the larger and more respected Christian denominations. There would be no re-assuring uniformity about the answers, and they would not really tell us anything at all. The answers would probably be of two types. One type could be expressed something like this: “It is impossible to predict precisely what the future holds for us, but it is clear that unless men learn to live at peace with each other, war is inevitable.” A pious truism that helps nobody. The other type of answer would be a dogmatic assertion that, to a true Christian, a third world war would be unthinkable; but not a shred of evidence would be offered to support this pleasing sentiment. Modern Christianity isn’t modern enough. It cannot grapple with the problems of our day. But, paradoxically, it isn’t ancient enough either. The sober truth is that the Christianity of most Christians today is not the Christianity of Christ. If it were, it would be as relevant now as it was when Christ was on earth. The Christianity of our day is out of touch with this modern world because it is not the Christianity of the first century. Let us come back to an earlier comment. I said that many Christian communities are trying desperately hard to be “with it”. That’s just the trouble. They are too concerned about keeping up to date. They feel that they have lost their grip, and are afraid that their stock will go down still further if they appear old-fashioned. Accordingly, they have “trimmed” their Christianity, and in their attempts to bring it in line with modern thinking, have robbed it of the very things that have made it unique. See the irony: modern Christians cannot deal with modern problems because they are trying too hard to be modern! If only the Christians of our day knew the authority and power of the religion that Christ founded, they would lose all their inhibitions and hold their heads high. They would also be able to give a good account of themselves. God knows the answers to the problems that perplex men today: and His servants are invited to learn the answers too. 1. The authority of Scripture. Only a Christianity that accepts the absolute authority of Scripture, and believes that God performs miracles, will make sense. Let us get down to basic things. We believe in God, and we want to worship Him acceptably. How do we set about it? We can do one of two things. Either we can make our own decisions about how to worship God, and hope that they will be acceptable to Him; or we can follow God’s instructions. Obviously, the second way is the right one. We are being foolish and arrogant if we try to work out our own system of worship, when God has issued His instructions. We are asking for trouble. Did you say that you are not sure what God’s instructions are? 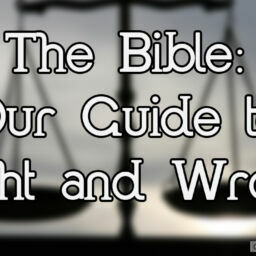 So you find it hard to make up your mind how you should regard the Bible? Of course you admit that the Bible is an exceptional book; you are very impressed by some parts, especially those about the Lord Jesus Christ; indeed, you have no doubts in your mind that some parts of the Bible are divine; but you would say that other parts so clearly bear the marks of human imperfection that you have no confidence in them. A bit of hard thinking will help here. You say that you believe that some parts of the Bible are divine, but that other parts are human and imperfect. So somewhere in the Bible you have to draw the line between what is human and what is divine. You must agree that the divine parts, because they are divine, are as valuable as anything could be, whereas the human parts are of little worth in comparison. So this business of drawing the line is just about the most important job you will ever be called upon to do. Have you treated it seriously, and really got down to it? And how has it worked out? What did you make of the letters of Paul: human or divine? Don’t forget that Paul was the one who gave us that beautiful chapter about love 1 Corinthians 13. Would you say that he was moved by God to write this? I wonder whether you were thinking that some of Paul’s utterances don’t measure up to this “love” chapter. So you have to distinguish between the divine and the human parts of Paul’s writings. It’s getting a bit complicated, isn’t it? How do you regard the book of Proverbs? Some people think that the advice that Proverbs gives us is marvelous and divine, in fact. Others have their doubts. When people start drawing lines between some scriptures and others, different people draw their lines in different places. What it amounts to is that different people have different Bibles. And how about the Psalms? A bit grim in places, did you say? Strange then, that Jesus himself got so much out of them! You see the point? If you believe in a Bible that is partly human and partly divine, you will never know where to draw the line; and even if you think you know, other people will disagree with you. The result is bound to be confusion and uncertainty. Being human, people will tend to accept those parts of the Bible that they like, and reject the parts that they don’t like. Inevitably, the authority of the whole book, including its best parts (if we must distinguish) will be diminished. Which brings us back to where we started. When we regard the Bible as a mixture of divine wisdom and human folly, we can never be sure what God’s instructions are. Is it seriously thought that the Creator of the universe, having prepared a vitally important message for us human-beings, would let it get so mixed up with human writings that no one could say with certainty which parts were human and which divine? Would we act so unintelligently ourselves? Some people think that the line must be drawn between the Old and New Testaments. They regard the Old Testament as human, and the New Testament as divine. This proves that they have very little knowledge of the New Testament, although they claim to regard it as divine. One important feature of the New Testament scriptures is that they repeatedly recommend the Old Testament as divine, authoritative and infallible. “All scripture is given by inspiration of God, and is profitable for doctrine, for reproof, for correction, for instruction in righteousness: that the man of God may be perfect, thoroughly furnished unto all good works” (2 Timothy 3:16, 17). “The prophecy came not in old time by the will of man: but holy men of God spoke as they were moved by the Holy Spirit” (2 Peter 1:21). These are three amongst many New Testament passages that instruct us to think of the Old Testament as divine, authoritative and infallible. If we believe the New Testament, we must believe these passages, as parts of the New Testament; and if we accept these passages, we must likewise accept the Old Testament that they recommend. There is no escape from it. Old and New Testaments must both be regarded as divine. Or, if you prefer it that way, both must be rejected. “I will make your cities waste, and bring your sanctuaries unto desolation … And I will bring the land into desolation: and your enemies which dwell therein shall be astonished at it. And I will scatter you among the heathen, and will draw out a sword after you: and your land shall be desolate, and your cities waste” (Leviticus 26: 31 33). “And thou shall become an astonishment, a proverb, and a byword, among all nations whither the Lord shall lead thee” (Deuteronomy 28:37). “And the Lord shall scatter thee among all people, from the one end of the earth even unto the other: and there thou shall serve other gods … And among these nations shall thou find no ease, neither shall the sole of thy foot have rest: but the Lord shall give thee there a trembling heart, and failing of eyes, and sorrow of mind: and thy life shall hang in doubt before thee; and thou shall fear day and night . . .” (Deut 28:64-66). “Though I make a full end of all nations whither I have scattered thee, yet will I not make a full end of thee: but I will correct thee in measure, and will not leave thee altogether unpunished” (Jeremiah 30:11). “Hear the word of the Lord, O ye nations, and declare it in the isles afar off, and say, He that scattered Israel will gather him, and keep him, as a shepherd doth his flock” (Jeremiah 31:10). 1 They would be scattered all over the world. 2 They would be a proverb and a byword. 3 They would suffer terrible persecutions. 4 Their land would be desolate. 5 They would survive as a race, despite scattering and persecution. 6 They would ultimately be gathered to their own land again. Nobody can deny that this chain of unlikely prophecies has been fulfilled. The fact that the Scriptures have foreseen the whole course of Jewish history demands an explanation. The explanation submitted here is that the Bible is able to make these, and many other, unlikely predictions because it is a message from God. Do you know a better explanation? I have referred to other unlikely predictions. 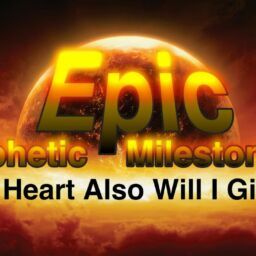 Consider, for example, that chain of prophecies concerning the life and mission of the Lord Jesus. It is not an exaggeration to say that the life of Jesus is written in advance upon the pages of the Old Testament. His birthplace, his preaching, his friends, his enemies, the conspiracy, the treachery of a friend, the thirty pieces of silver, the mocking, the sharing of garments, the casting of lots for his “vesture”, the piercing of hands and feet, the vinegar drink, the cry from the cross, the rich man’s grave, the resurrection, the ascension: these and other daring predictions were written hundreds of years before Jesus came on the scene. There can only be one explanation for this amazing feature. The Bible is divine. Remember those questions that modern Christians cannot answer? Readers of the Bible can take them in their stride. Already, in our quick look at prophecies about Israel, we have picked up some clues about what is happening in the Middle East. 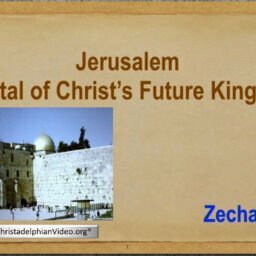 Jeremiah’s prophecy about the gathering of Israel is being fulfilled. We have discovered some indications, too, that there could well be a prophetic programme of world events, after all. And a climax to the programme? But it is not my purpose to pursue these matters further just now. My immediate purpose is to show that it makes sense to regard the Bible, the whole Bible, as the Word of God. It does not make sense to do otherwise. “Thus saith the Lord God of Israel, Let my people go” (Exodus 5:1). Pharaoh asked Moses for a sign. Although Pharaoh was an unreasonable man, he was not being unreasonable on this occasion. Moses had claimed to be speaking for God: how was Pharaoh to know that the claim was valid? A sign, or a miracle, would settle the matter quickly and effectively. Accordingly, Moses matched his wonderful claim with a wonderful act. He threw down his rod, and it became a serpent. Whether you believe this story or not, you must agree that, in the circumstances, the miracle would have fulfilled a real purpose. If it is reasonable to believe that God has spoken to men, it is also reasonable to believe that His communications have been supported by miracles. Divine revelation and miracle belong to each other. Without miracle, divine revelation would never get off the ground. How could reasonable people be expected to believe that messages had come from God without supporting signs? It’s stupid to say loftily, “Miracles don’t happen”, as though that settles the matter once and for all. Certainly miracles don’t happen every day. If they were so commonplace, they would not be miracles. The Scriptures represent miracles as exceptional signs designed to support exceptional claims. Is the claim that the Creator of heaven and earth has sent a message to man an exceptional one? Then it must be supported by exceptional signs. There is an appropriateness about the miracles of Scripture. The Creator of the universe is obviously in control of the universe He has created. He is the God of nature. What more effective method could the Creator employ to demonstrate that He was directly involved in some situation than that of performing an act that interrupted the normal course of nature? Only God could perform such a wonder, so here would be convincing evidence that the communication had indeed come from Him. Someone might protest that miracles, if they ever happened, would only have carried conviction as far as eye-witnesses were concerned. They might have been signs to those who saw them that God had spoken, but all that we have is the accounts of the alleged miracles. We can hardly be expected TO feel convinced by this sort of evidence. This is reasonable as far as it goes; but whereas we suffer the disadvantages of not having witnessed the signs, we have the advantage of having seen prophecies fulfilled. So God has provided both for the people of the prophets’ days, and for us. To the contemporaries of the prophets, who were not able to witness the fulfillment of long-term prophecies, God gave miracles. To us, who have not seen the miracles, God has given the evidence of fulfilled prophecy. Those who witnessed the miracles would have good reason to believe that the prophecies would be fulfilled, although they would not be there to witness them. And we, who have seen the wonders of fulfilled prophecy, have good reason to believe that the miracles happened, although we were not there at the time. Here we shall begin with a little discussion. You believe in Jesus Christ: tell me, do you think he is alive today? Careful! If the answer is, “Yes”, you are a believer in miracles. If Jesus is alive today, he must have been raised from the dead; and he must also have been made immortal. Two mightier miracles it would be difficult to imagine. Miracle is an essential part of the life of Christ. Cut out the miracles and you are left with a dead man, and a few unreliable stories about him. Why unreliable stories? Because Matthew, Mark, Luke and John all speak of the miracles that Jesus performed. If miracles never happen, these stories are untrue, and all the rest of the gospel narrative must be suspect too. Be clear about this: if you do not believe in miracles, then you have to believe in a completely different Christ. All the uniqueness is gone. He has been dead for nearly two thousand years. Yet, somehow, this ordinary person gave multitudes the impression that he had raised the dead, healed lepers and given sight to the blind. Somehow people imagined that they were eye-witnesses of these wonderful events. Does it ring true? Frankly, I find it much more reasonable to believe in miracles. The alternative imposes too great a strain on one’s credulity. Let us come back to the resurrection of Christ. This tremendous miracle made an immense impression on those who witnessed it. It completely transformed many lives. It didn’t stop there. By their lives and their words these changed men affected others. Others felt the impact of the miracle, just as if they had witnessed it themselves. They in turn impressed others: and so it went on. It was much more than a sign for that generation. Men are still being shaken by the reverberations of the resurrection earthquake. Lives are still being transformed. Why did the resurrection of Christ make such a difference to men’s lives? Why did those who were impressed by this great miracle feel a compelling urge to develop such noble, unselfish characters? Why were they willing to lose status, possessions, homes, and even life itself, rather than abandon their faith? Obviously, they had an unshakable conviction that their religion made sense. But why? It is this matter of miracle and revelation again. The resurrection of Jesus Christ was an exceptional sign that supported exceptional claims. Or, to put it more strongly, it was a unique sign that supported unique claims. Jesus of Nazareth (as they called him) had made some amazing claims. He had claimed that he was bringing blessings to mankind from the Creator Himself. 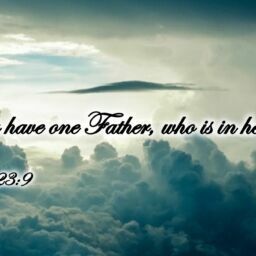 Indeed, he had said that he was God’s own Son, and that he was able to bring men to his Father. This could have been dismissed as absurd, if it had not been supported by a really spectacular miracle. Only an amazing demonstration of divine power could establish such amazing claims. And so it happened. The resurrection settled the issue decisively. The claims of Jesus were true. He was God’s Son, and God had vindicated him. Of course the resurrection was more than a sign. It was an act of God that meant the difference between a living Christ and a dead Christ. But as a sign alone its importance was immense. Jesus had made some other impressive claims too and his resurrection demonstrated the truth of these claims. He had said that he had been appointed to save men from sin and its consequence, death. He had said that he would come again to raise the dead, and to be a judge and a king. The resurrection of Jesus Christ was God’s way of demonstrating to humanity that he was the man appointed to fulfill these purposes. “This Jesus hath God raised up, whereof we all are witnesses … Therefore let all the house of Israel know assuredly, that God hath made that same Jesus, whom ye have crucified, both Lord and Christ” (Acts 2:32, 36). “The times of ignorance God overlooked, but now he commands all men everywhere to repent, because he has fixed a day on which he will judge the world in righteousness by a man whom he has appointed, and of this he has given assurance … by raising him from the dead” (Acts 17:30-31). All this is wonderful news for those who treat it with the respect that it deserves. And it provides the answer to another of those questions that modern Christians are unable to answer. The Bible is a message from God. If this proposition is true, or rather, because this proposition is true, it is obvious that we all ought to be diligent readers of the Bible. It is astonishing how many people one meets who profess to believe that the Bible is divine, but yet cannot find time to read it. This just doesn’t make sense. One would have thought that it would be impossible to stop people from reading a message from the Creator of the universe. Some people excuse themselves by saying that the Bible is an unattractive sort of book. It is so big, and so difficult to understand, they say, that one needs to be an intellectual to get down to it. True, the Bible is a big book. Parts of it are difficult too; but other parts make very interesting reading, without much effort. Remember the story of Joseph? And have you tried the Acts of the Apostles? And for a thriller, the book of Esther will take some beating. But what is the point? Is it seriously suggested that God could have made a much better job of His message, and that a shorter, simpler book would have been far more practicable? How naive can people get? Need it be emphasized that God is the Creator, and that He knew exactly what He was doing when He gave us the Scriptures? The Bible comes to us in the form that it does because this is the best way. We may be assured that a shorter, simpler message would not have been adequate, for the simple reason that God has not given us a shorter, simpler message. If we do not like the Bible, the fault lies with us, and not with God. If we do not feel attracted to the Bible, it is time for us to start taking stock of ourselves. A moment’s reflection will enable us to see why God has communicated to us in the way that He has done. The gift that God offers us is nothing less than eternal life. Our minds are not big enough to understand the greatness of this offer: but at least we know that it is an amazing gift. Yes, eternal life is a gift. God does not expect us to earn it, nor indeed could we if we wanted to. One thing, however, God does require of us. That is, that we should appreciate His gift, and desire it intensely. The Scriptures are admirably designed to test and to develop our desire for God’s blessings. If we say, “The Bible is too big and difficult”, and make no effort to read and understand it, we show that we are not particularly interested in God’s gift. It is not so much that God eliminates us from His scheme of salvation, as that we eliminate ourselves by not even attempting to get over the first hurdle. 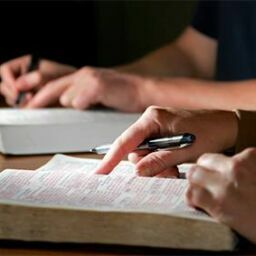 If, on the other-hand, we say, “The Bible is big, and parts of it are difficult, so I must really get down to studying it”, we demonstrate our desire to receive of God’s wisdom, and to have a part in His eternal purpose. “My son, if thou wilt receive my words, and hide my commandments with thee; so that thou incline thine ear unto wisdom, and apply thine heart to understanding; yea, if thou criest after knowledge, and liftest up thy voice for understanding; if thou seekest her as silver, and searchest for her as for hid treasures; then shalt thou understand the fear of the Lord, and find the knowledge of God. For the Lord giveth wisdom: out of his mouth cometh knowledge and understanding.” (Proverbs 2:1-6). There is a persistency, and an intensity of desire here: and there is a fulfillment of that desire. “O how love I thy law! It is my meditation all the day … How sweet are thy words unto my taste! yea, sweeter than honey to my mouth!” (Psalm 119:97,103). Not only does the Bible student develop a taste for more Bible study: he develops a taste for spiritual things generally. The laws of God become the principles that direct his life. Like the Lord Jesus, he learns to love righteousness and hate iniquity; and in accordance with the Lord’s instructions, he seeks first the Kingdom of God. And thus that desire for divine blessing that leads him to the Bible in the first place is nurtured by Bible reading, and becomes so intense that it becomes the mainspring of his life. He completely changes his life’s priorities. He becomes more and more like the Christians of the first century, and more and more like the man whom he strives to follow. One need not be an intellectual to study the Bible. It is true that some intellectual people have approached the Scriptures with a wise humility, and have received richly from God’s treasury. But many clever people get nothing from the Bible because they approach the book as people who already know all the answers. Humility and a desire to learn are basic qualifications. Suppose we decide to make a start with our Bible reading: how do we set about it? Where do we begin? What a strange beginning for a biography of Jesus Christ! Why does Matthew begin by telling us about two of Jesus’ ancestors, who lived so many years before him? Just a Jewish custom, perhaps. Surely, we need not concern ourselves unduly about this. Let us move on to the real stuff. How does the next verse go? By this time it should have dawned on us that Matthew would not have troubled to link up Abraham and David with Jesus, generation by generation, if it were not very important. Here, right at the beginning of the story of Jesus, is probably a key to his mission. We must keep this thought in mind: Jesus is the son of David and the son of Abraham. But something else ought to have occurred to us by this time too. The opening words of Matthew are telling us that before we can understand the mission of Jesus Christ, we have to know something about the Old Testament. That is where we should begin our reading. We started in the wrong place! Rather obvious, isn’t it? The only sensible place to start reading any book is at the beginning. It is extraordinary how many people start reading the Bible in the wrong place. Little wonder that they find it a difficult book to understand. They are depriving themselves of essential facts. Little wonder that there are so many questions that modern Christians cannot answer. There follows a summary of God’s creative activity connected with the earth. We read of the creation of plant and animal life, and finally there is a brief statement concerning the creation of man. Creation is, logically, the beginning of the whole story. Fact number one is: God is Creator. A world of consequences flows from this fact. Because God is the Creator, everything belongs to Him. God is in command. God makes the decisions. God’s standards are the right standards. The great question, “To be, or not to be”, rests ultimately with God. “The earth is the Lord’s, and the fullness thereof; the world, and they that dwell therein. For he hath founded it upon the seas, and established it upon the floods” (Psalm 24:1-2). (24:3) And so God proceeds to lay down the conditions. Human Rebellion This is the principle that operated in Eden. God created a man, and prepared a garden. He put the man in the garden, and told him that he could remain in the garden and enjoy its benefits if he were obedient to God’s law. If he disobeyed, he would die. 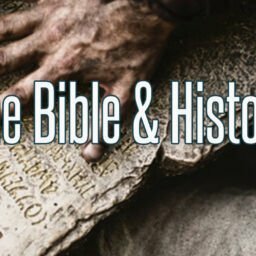 The history of Adam’s descendants, as told in the Bible, is a fascinating story of human sin and divine grace. Ultimately divine grace triumphs through the Lord Jesus Christ. A fascinating story of human sin and divine grace: this is a fair summary of the theme of the Bible. Calamity follows calamity in the early chapters of Genesis. First there is the curse of Eden, next the flood, then the curse upon the Canaanites, and then the curse at Babel. “I will make of thee a great nation, and I will bless thee, and make thy name great; and thou shalt be a blessing: And I will bless them that bless thee, and curse him that curseth thee: and in thee shall all families of the earth be blessed” (Gen. 12:2, 3). Blessing and more blessing! Seven times God made gracious promises to Abraham. He was to be the channel of God’s blessing to humanity: Abraham and his seed. “ … Thy seed shall possess the gate of his enemies: and in thy seed shall all the nations of the earth be blessed; because thou hast obeyed my voice” (Gen. 22:17, 18). Who was the seed of Abraham, and what was the blessing? “Unto you first God, having raised up his Son Jesus, sent him to bless you, in turning away every one of you from his iniquities” (Acts 3:26) . The promised seed of Abraham, who should bring a blessing to mankind, was Jesus; and the blessing was righteousness. So this great son of Abraham was appointed to reverse the effects of Adam’s disobedience. “As many of you as have been baptised into Christ have put on Christ. There is neither Jew nor Greek; there is neither bond nor free, there is neither male nor female: for ye are all one in Christ Jesus. And if ye be Christ’s, then are ye Abraham’s seed, and heirs according to the promise” (Gal 3:27-29). We are making progress. Because the opening verse of the New Testament describes Jesus Christ as the son of David, the son of Abraham, and because a substantial part of the first chapter of Matthew is concerned with proving this relationship, we inferred that this was probably a key to the mission of Christ. Now we have discovered that this was true, at least as far as Abraham was concerned. Against a background of sin and trouble, God promised Abraham that a way of reconciliation and blessing would be provided to humanity through his son. Jesus Christ, the son of Abraham, came to fulfill this promise. But Jesus Christ is also described as the son of David, in the first chapter of Matthew. We could almost expect to find in the Old Testament some comparable promises to David, which find their fulfillment in Christ. “And it shall come to pass, when thy days be expired that thou must go to be with thy fathers, that I will raise up thy seed after thee, which shall be of thy sons; and I will establish his kingdom. 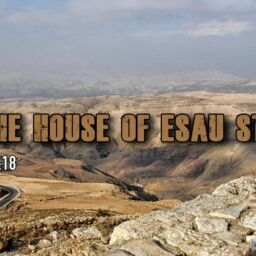 He shall build me an house, and I will establish his throne for ever. I will be his father, and he shall be my son … I will settle him in mine house and in my kingdom for ever: and his throne shall be established for evermore” (1 Chronicles 17:11-14). “Fear not, Mary: for thou hast found favour with God. And, behold, thou shalt conceive in thy womb, and bring forth a son, and shall call his name Jesus. He shall be great and shall be called the Son of the Highest: and the Lord God shall give unto him the throne of his father David: and he shah reign over the house of Jacob for ever; and of his kingdom there shall be no end” (Luke 1:30-33). Yes, Jesus, son of David and son of God, was born to be a king. 1 War, trouble and fear, on an unprecedented scale. 2 Wickedness, comparable to that in the days of Noah. 3 The revival of Jewish life in Palestine. “They (the Jews) shall fall by the edge of the sword, and shall be led away captive into all nations: and Jerusalem shall be trodden down of the Gentiles, until the times of the Gentiles be fulfilled. And there shall be signs in the sun, and in the moon and in the stars; and upon the earth distress of nations, with perplexity; the sea and the waves roaring; men’s hearts failing them for fear, and for looking after those things which are coming on the earth: for the powers of heaven shall be shaken. And then shall they see the Son of man coming in a cloud with power and great glory” (Luke 21:24-27). “But as the days of Noah were, so shall also the coming of the Son of man be. For as in the days that were before the flood they were eating and drinking, marrying and giving in marriage, until the day that Noah entered into the ark, and knew not until the flood came, and took them all away; so shall also the coming of the Son of man be” (Matt 24:37-39). Judge for yourself. Some of us are convinced that the Lord’s return will happen soon. A concluding thought: the prayer, “Thy kingdom come” (Matthew 6:10), means, ‘Send Christ the king soon’. Is this really our desire? Are we preparing for this great event? 1. That modern Christianity is out of touch with the real issues of the day. 2. The reason for this is because there has been a departure from the Christianity of Christ. Modern Christianity loses its relevance and its vitality by playing down (1) the authority of Scripture; and (2) the miraculous element. 3. A Bible that is a mixture of divine wisdom and human folly would be useless. The book must be taken as a whole for acceptance or rejection. 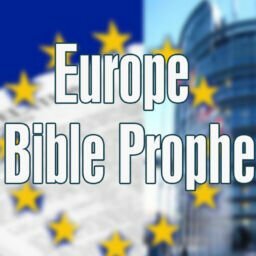 The fulfillment of Bible prophecy is one good reason for believing that the Bible is the Word of God. 4. The unlikely history of the Jewish Nation, and the unique life of the Lord Jesus Christ have been written in advance in the Old Testament. 5. If it is reasonable to believe that God has spoken to men, it is also reasonable to believe that His messages would be supported by miracles, Revelation and miracle belong to each other. 6. The resurrection of Jesus Christ is a miracle that made an immense impact on humanity. It transformed lives in the first century, and it has been doing so ever since. 7. The Lord Jesus had made some amazing claims. He had claimed to be: the son of God and the saviour of the world; the man who would raise the dead, and be a judge and a king. 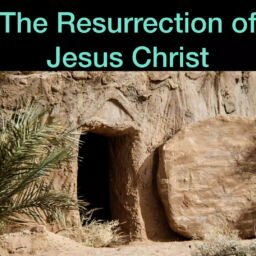 The resurrection proved that all these claims were valid. 8. Because the Bible is a message from God, the sensible thing to do is to read it diligently. It is so valuable that we must persist, despite initial difficulties. Ultimately, we shall develop a taste for Bible study, and for God’s standards. 9. Obviously we should start reading the Bible at the beginning. Many people are confused and discouraged because they do not begin at the beginning. 10. The first chapters of Genesis are, logically, the beginning of God’s revelation. The first fact is that God is the Creator. Because of this, He is in charge. The human tragedy began because man rebelled against God’s authority. 11. Nevertheless, God provided a way of escape. His plan or salvation is based upon promises made to Abraham and David, and fulfilled in Christ. This explains why the first verse of the New Testament describes Jesus Christ as the son of David, the son of Abraham. 12. To Abraham God promised a son who should provide a way of reconciliation for sinners. To David God promised a son who should be a great king. 13. Jesus is coming again to fulfill God’s promises, and set up the kingdom of God on earth. When this happens, there will be “glory to God in the highest, and on earth peace, good will towards men”. 14. 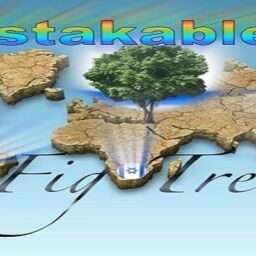 The signs of world trouble, wickedness, and the restoration of Israel are being fulfilled today. The second coming must be near. 15. We must prepare for that great event. Many people are dissatisfied with the Christianity of today and with good reason. It doesn’t make sense. It doesn’t bring peace to their minds, or joy to their hearts. But what most people do not realise is that the Christianity of today is far removed from the religion that Christ founded. If they had been diligent readers of the Bible, they would have discovered this for themselves. My purpose has been to show that Bible Christianity, or the Christianity of Christ, does make sense. It is now for you to decide whether or not a fair case has been presented. First, ask yourself whether it is reasonable to believe in an authoritative Bible. And if the answer is yes, check up and see whether the beliefs set out briefly in this little booklet are in accordance with the Bible or not. This will take a little time, of course. You have a double check here. If these beliefs are scriptural, they ought also to make sense. In other words, they ought to appeal to reason, and they ought to hang together. Do they? The God who gave us reasoning powers has also equipped us with emotions. A God-given religion should satisfy the heart as well as the head. Of necessity, the emphasis has been on reason, in this booklet. But the Christianity of the Bible makes a powerful emotional appeal too. The Scriptures tell us what we already know, deep in our hearts: we are fighting a losing battle against sin. How moving then is a contemplation of the Lord Jesus Christ, the Lamb of God that takes away the sin of the world! With awe and gratitude we follow him to the cross. We suffer with him; by baptism we die with him. We are raised with him to “newness of life” (Romans 6:4). Eagerly we await his second coming and the glorious prospect of a world at peace with God. This is something to live for, and to die for. And it carries with it a promise of resurrection from the dead. You remember that list of questions that modem Christians cannot answer? In the course of our discussion, answers have been suggested, directly or indirectly, to most of these questions. But not all. May I suggest that you do some Bible study on your own account and see whether the answers are scripturally based or not. And perhaps you can find the answers to the other questions too. It is not surprising that their beliefs are in accordance with Scripture, and that they make sense. But there, that is for you to judge! Please do so! You will be well qualified to judge if you start regular Bible reading now.